Bathroom towel racks provide convenient storage and drying of cloth towels and washcloths. Their placement and dimensions depend on the size of the bathroom and the needs of the home’s inhabitants. 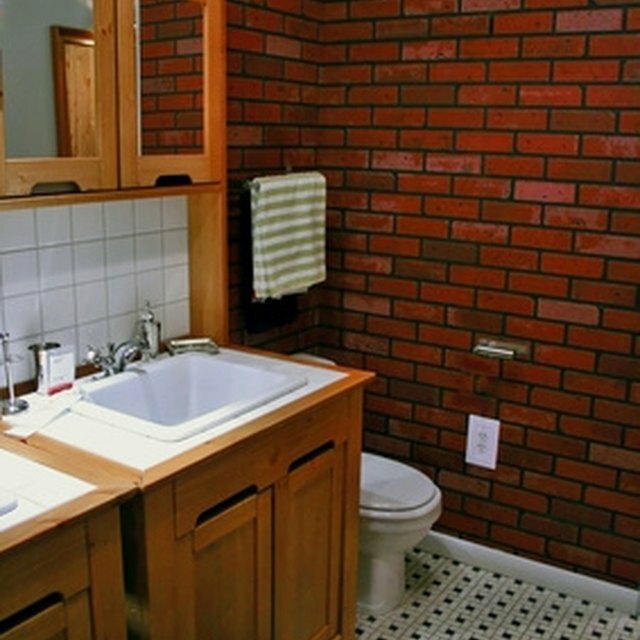 Bathroom towel racks should be placed at convenient heights for easy access. To accommodate average size adults, bathroom towel racks should be attached to walls midway between the elbow and shoulder height, which is normally around 48 inches from the bathroom floor surface. Adjustments can easily be made for shorter or taller adults. Children’s bathrooms commonly have towel racks placed about 36 inches off the floor. Standard bathroom towel racks come in lengths of 18, 24, 30 and 36 inches. The size of the bathroom walls dictates the appropriate size. Towel racks should be located close enough to the tub or shower to be easily accessible to bathers. They should be far enough away from electrical outlets to avoid wet fabrics from touching the charged openings. The racks should be far enough from walls to prevent wet towels from marring the wall surface and to promote quick drying.